Continuing with the ongoing effort to catch up with content that I’ve previously released as music only. I’ve got a new lyric video releasing today. 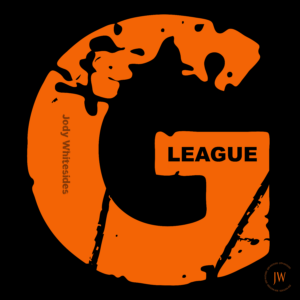 This one is for people who are fans of the recently renamed basketball league that is now known as the G League. If you’re not familiar with the G League, it’s the minor league of the NBA. As of 2019 it has expanded to a bunch of new markets. Added a slew of new teams and even renamed some of the old teams. Enjoy, share, and watch multiple times. p.s. this was released as the title track on all the G League mixes. Hear it here.